Rev. Dr. James Bracewell has gone to be with the Lord. He was born in Geneva County on December 1, 1945, to the late William Jonah Bracewell and Lela McLeod Bracewell. He was 72 years old. James was raised in the Christian Faith and received the baptism of the Holy Ghost in 1966 at Weeks Memorial Assembly of God Church. He was licensed to preach in 1968, ordained in 1974, and he received an honorary Doctorate of Divinity from Cypress Bible College in Van, TX. He has preached at more than fifty churches in the local area and pastored several of them. He has pastored churches in Baptist, Methodist, and Pentecostal denominations. He would like to thank all of his friends and family who supported him over the years, especially his wife, Wanda who has stood with him and helped him. 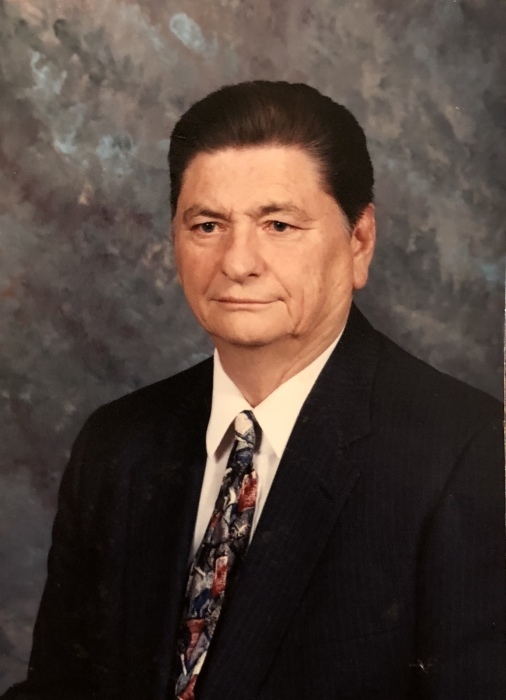 Funeral Services will be held at 1:00 p.m. on Friday, May 4, 2018, at Lime Springs United Methodist Church with Randall Bracewell, Rev. Phillip Barnes, and Rev. John Wesley Spivey officiating. Burial will follow at Piney Grove Baptist Church Cemetery with Rev. Jim Colley officiating and Pittman Funeral Home of Samson, directing. The family will receive friends at the funeral home on Thursday, May 3, 2018, from 6:00 until 8:00 p.m.
Rev. Bracewell was preceded in death by four siblings, Mae Bracewell Beverly, Ramona Bracewell, and two infants. He is survived by his loving wife of forty-eight years, Wanda Sue Bracewell of Geneva; son, Randall Bracewell (Sashe) of Gaskin, FL; four grandchildren, Audrey, Raegen, Levi, and Bailey Bracewell; five siblings, Idell Bracewell Clark, Nadine Bracewell Martin, Charles Howard Bracewell, William Bracewell, and Matthew Bracewell; and numerous nieces, nephews, and cousins.